There's nothing more joyful than sharing your snow with the neighborhood youth. 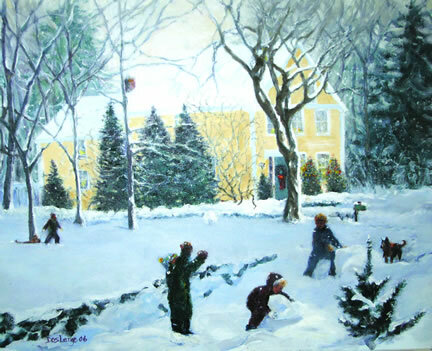 Donna captures the essence in her evocative oil paintings for her gallery patrons or in commissioned portraits of children, houses and pets. From Cashel Rock, Ireland to all points of New England, the sense of place and roots permeates her work.